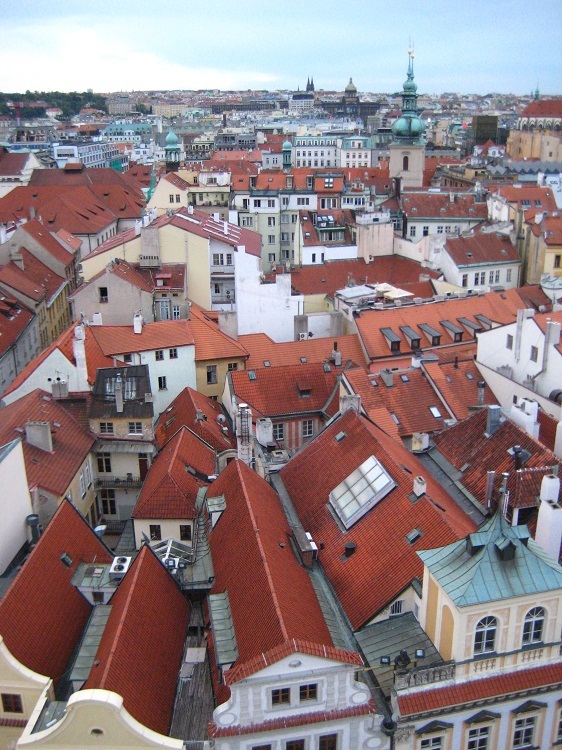 Ever since some family friends took a spontaneous trip to Prague five years ago and returned singing its praises, it shot to the top of my list of places to see, and on this trip, Prague was the city I was looking forward to more than any other, a lone bright star in an otherwise dark and obscure Eastern European sky. Visions of a dark, gothic paradise beckoned; if I was going to wander around narrow streets and stumble into a dim underground bar invited in by a single lamp swinging from its door and be transported to another time, it was going to be in Prague. Unrealistic expectations aside, like most people who visit in the height of summer, I was let down. Prague wasn’t dark; it was Disney dark. Its buildings were painted in pleasant shades of peach, pink, cream, and powder blue, it was filled with colorful overpriced kitsch shops by the Charles Bridge, and every old, crumbling, looming church topped with threatening black spires was swarmed by loud tourists who wouldn’t let each other take a single photo. To say Prague was touristy is a gross understatement; every hour of every day people rubbed elbows in the historic districts, fighting each other to see the astronomical clock. The atmosphere in this pretty area was strictly commercial, which I found very unappealing. Copyright © 2019 lost at be. All rights reserved.